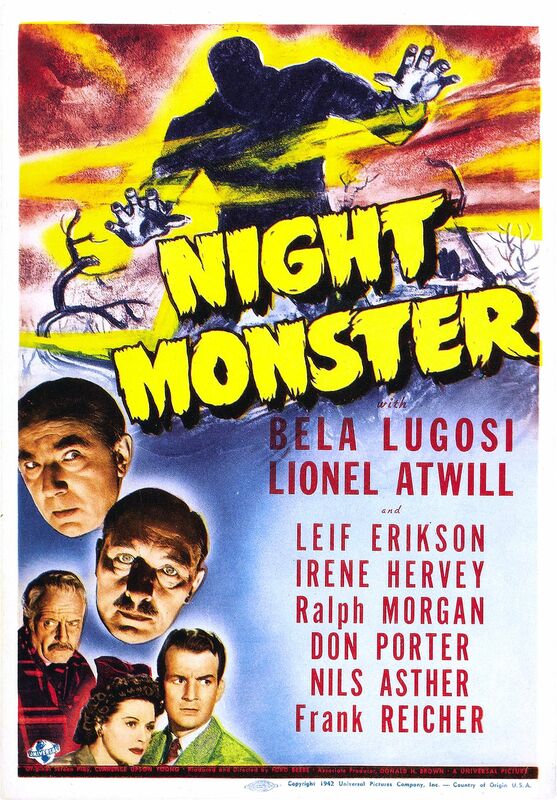 A reclusive cripple (Ralph Morgan) with a seemingly insane daughter (Fay Helm), a lurking butler (Bela Lugosi), a skittish maid (Janet Shaw), and a menacing chauffeur (Leif Erickson) invites a diverse group of guests to his decaying mansion — including a mystic (Nils Asther), a psychiatrist (Irene Hervey) hoping to help Helm, two doctors (Frank Reicher and Francis Pierlot) who may or may not have played a role in botching Morgan’s recovery from his disabling accident, and a young crime novelist (Don Porter) intent on solving the series of murders that are shortly played out. While this “old dark house” thriller (directed by Hollywood workhorse Ford Beebe of Flash Gordon fame) will clearly be of most interest to Bela Lugosi fans, they’ll quickly find that his role is peripheral at best. Fortunately, the storyline — though predictably convoluted, and overpopulated by too many characters — is engaging while it lasts; of particular interest is the sequence in which Asther works his creepy mumbo-jumbo (“There are certain details in the process that we are not allowed to explain to the uninitiated.”), and Atwill’s nicely handled “big reveal” scene. Not must-see viewing, but not a total snooze, either. No; this one is only must-see for diehard Lugosi fans. This film has escaped my notice until now. Sounds like something I’d like to have a peek at on a dark and stormy night. Thanks. That would be the perfect context for catching this one. Too bad it’s so obscure… Hopefully it will emerge on a new Bela Lugosi DVD collection at some point.